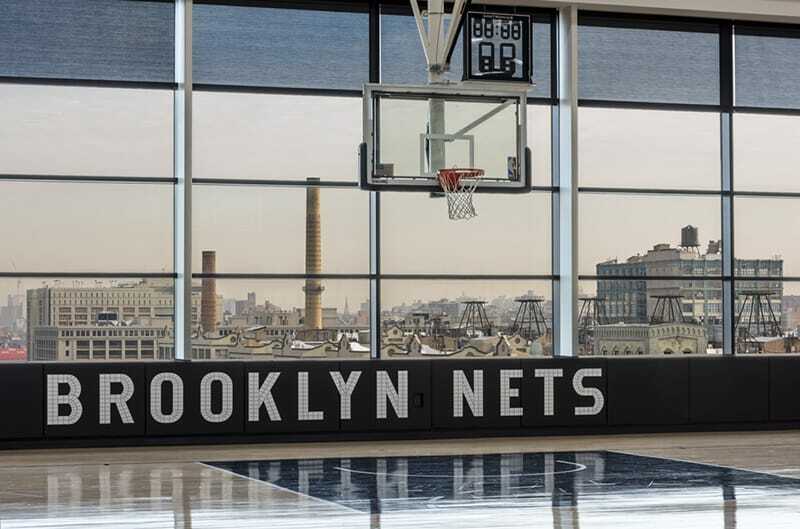 The Brooklyn Nets’ new training center boasts innovative new technology, spacious team and office facilities, and utilizes the stunning views of Manhattan. 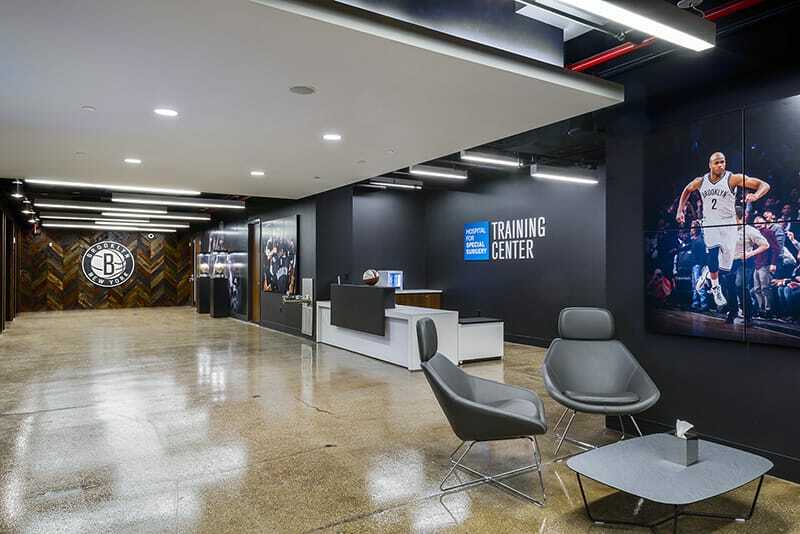 The 80,000 SF, state-of-the-art training space was built in an abandoned warehouse in Industry City in Brooklyn and the transformation is incredible. Located on the eighth floor to maximize the stunning views of the Manhattan skyline, the facility boasts three full-size basketball courts, a weight room, a training pool and two hydro pools, a rooftop entertainment space, an 18-seat multimedia theater, 3,000 SF of hospitality/players’ lounge space, a media interview/workroom, corporate offices and a secured parking garage. The grand opening of the Brooklyn Nets Hospital for Special Surgery Training Center took place February 17, 2016. 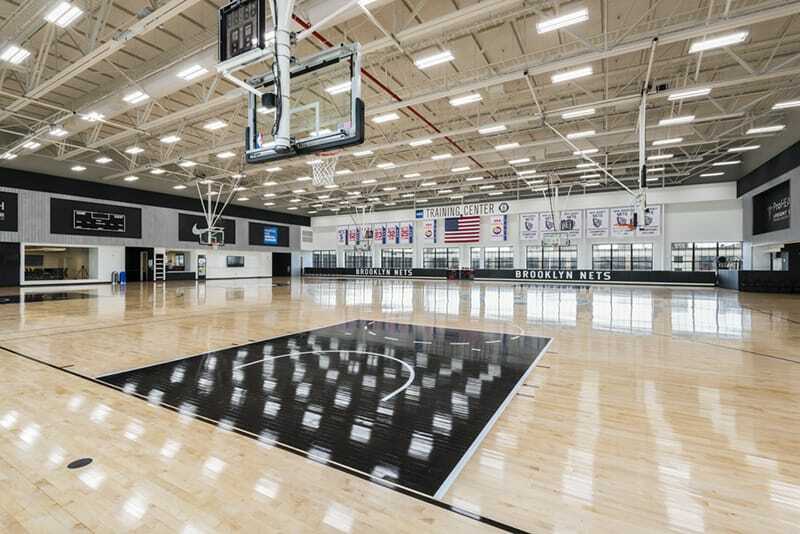 The venue was officially opened by Mayor Bill de Blasio and Nets owner Mikhail Prokhorov, demonstrating the significance of the Gilbane project to both the Nets team and the Brooklyn community. 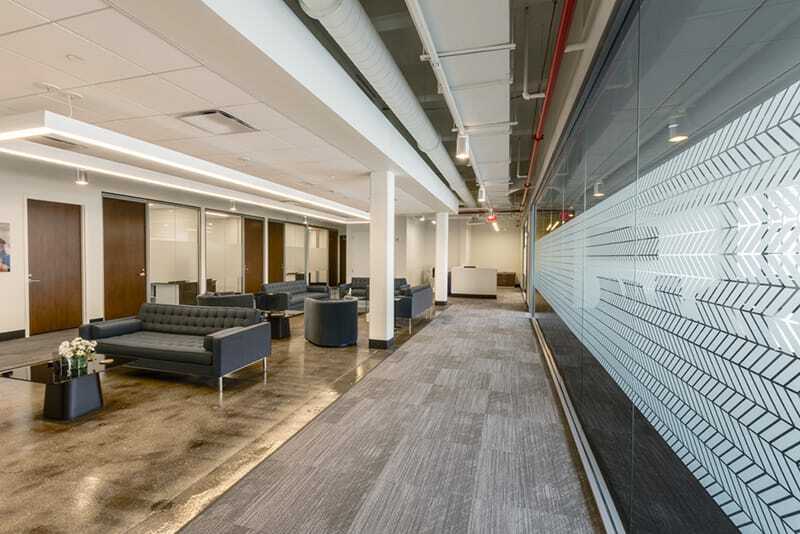 The Gilbane team collaborated with architects Manica Architecture and Mancini Duffy to achieve a high quality result and deliver the training facility on time. HSS Training Center is the result of years of hard work and tremendous cooperation throughout the entire process. It gives us all great satisfaction to see the project come to life and we hope it will be a source of pleasure and positivity for the entire neighborhood.